You can follow along with the latest results in Local, Statewide and National elections by clicking on the links below. ABC News is projecting that Democrat Gavin Newsom will win the California Governor's race. 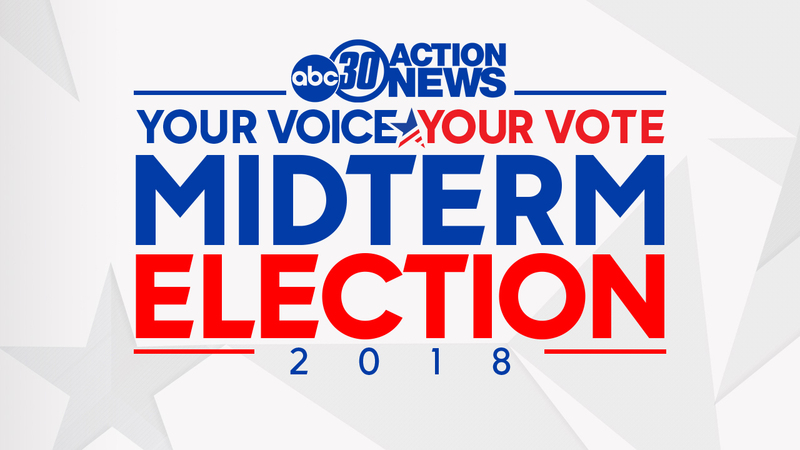 ABC News is projecting that Sen. Dianne Feinstein defeated her challenger state Sen. Kevin de Leon in the race for California's U.S. Senate seat. Democrat Jim Costa appears to be heading back to the House after besting Republican challenger Elizabeth Heng, in a district where registration numbers are split pretty evenly beween Republicans and Democrats. Republican Rep. David Valadao (R-Hanford) conceded his seat in the House to Democrat T. J. Cox. Cox's statement won by just over 800 votes, a big difference from Election Night when Valadao led with more than 5,000 votes. Republican Rep. Devin Nunes will be heading back to congress after topping Democratic challenger Andrew Janz. The race for State Senate District 12 is still too close to call with Democrat Anna Caballero holding on to a very small lead over Republican Rob Poythress. The race is still tight, but it appears that Democratic challenger Melissa Hurtado appears to have pulled off an upset win over Republican incumbent Andy Vidak. California residents voted against Proposition 6 on Tuesday, which means the state's increase on gas and vehicle fees will remain in effect. Californians soundly rejected Prop 10 that would have allowed more rent control as a way to alleviate the state's housing crisis.